Clicked from inside my Vehicle. 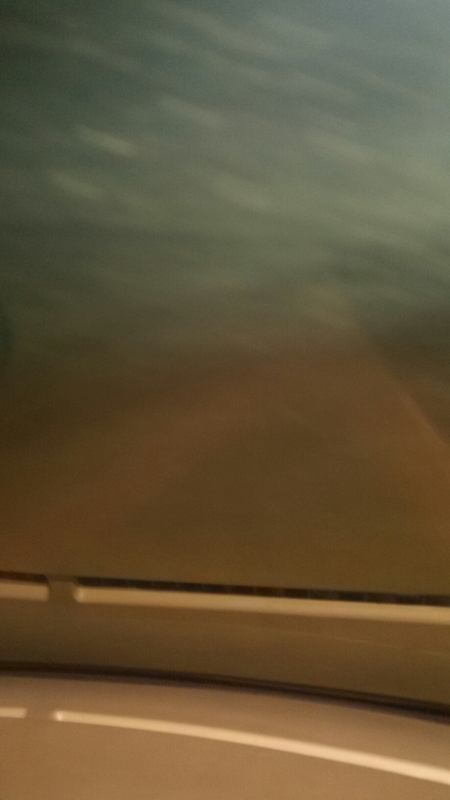 There was dense fog on highway. Fog is ground level cloud and it was as I was going through clouds. It was 4AM and visibility was near zero. There should be some fog dispersing lights on highways. We should try to model our highways on best highways of the world. Radar satellite input can be a good way to provide way in fog also.